Our services at Laser hair removal Melbourne, Box Hill can change the lives of those who suffer from embarrassing facial hair or excessive hair anywhere on the body. Imagine being able to get up in the morning and not have to worry about waxing appointments, shaving, or applying messy creams? At Lose It With Laser, our FDA approved laser hair removal machine can safely treat unwanted hair from the face and body to give you peace of mind and freedom from that never-ending battle. 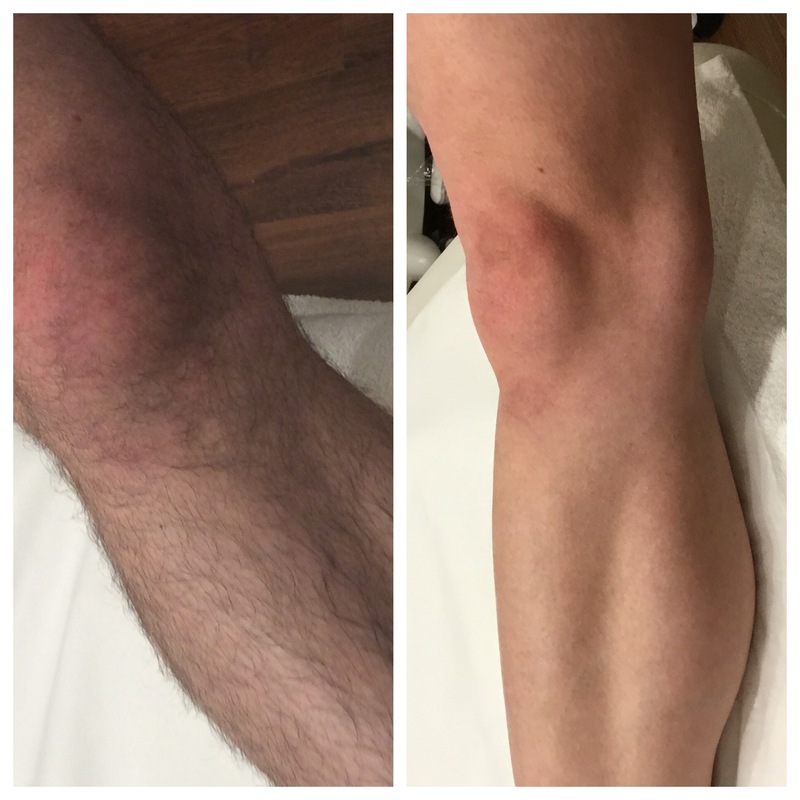 Lose It With Laser are a first-rate laser salon in Melbourne, Box Hill with years of experience in helping clients feel more confident and look as good as they feel. We provide a variety of services to help treat various issues. This includes removing any unwanted hairs, blemishes, or other body issues. The SHR DIODE LASER is the latest addition to the arsenal for fighting the war against unwanted facial and body hair at Lose it with Laser. This machine uses 810nm laser technology, the gold standard in laser hair removal for dark and light skin since its introduction in 1998. 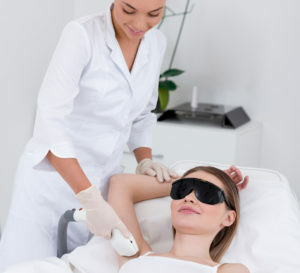 In the past, the problems with this type of laser were the pain experienced during the treatment and the limitation of not being suitable for use on people with tanned or darker skin colour. This is now a thing of the past, thanks to the new SHR (Super Hair Removal) technology. Using this gliding motion, as opposed to the one high-intensity zap at a time, smooth hair-free skin is possible without the pain. Clinical tests show that a slower heating process using this gliding technology, combined with a high rate of repetition of pulses (up to 10 pulses per second), optimum temperatures are reached at the hair root level with far less risk of trauma to the surrounding tissue. Because of this point of difference, tanned skin and even darker type 6 skins can be treated to remove excess hair once and for all. Whether it was that your skin colour was just too dark or the fear of the pain associated with laser hair removal that was holding you back, there is no longer any excuse! Both men and women can do away with the razor, waxing, threading, etc, after visiting our clinic. Give yourself the confidence and freedom of a hair free body. A number of sessions need to be completed at specified intervals to ensure 85-95% permanent hair reduction. These vary according to each body part (same as for IPL hair removal. See chart below). Ring and book a free patch test today. You will be amazed at how much improvement you will see just after your very first treatment. The most popular treatments for women are chin and upper lip, underarms, bikini, arms, and legs. For men, the neck, back and shoulders, chest and legs. Treatment can be tailored to individual needs. What If I Have In-grown Hairs? Another issue for those who shave and wax is the unsightly bumps from in-grown hairs. Laser hair removal Melbourne treatments work on the pigment in the hairs beneath the skin’s surface, which is exactly where in-grown hairs are, so relief from this is condition is assured. Hair grows in three cycles. The active phase, known as Anagen, is where the hair is growing and is attached to the follicle. Next, they go into the dormant stage where they remain anchored to the follicle for weeks or even months depending on the location of the body. This stage is called the Catagen phase. The third stage, Telogen, is when they finally loosen and shed from the follicles, only to be replaced by more hairs that are new and actively growing hairs at the beginning of the cycle again. Only the hairs in the Anagen phase are destroyed during each laser hair removal treatment. This is why more than one session at our Melbourne based clinic is required. 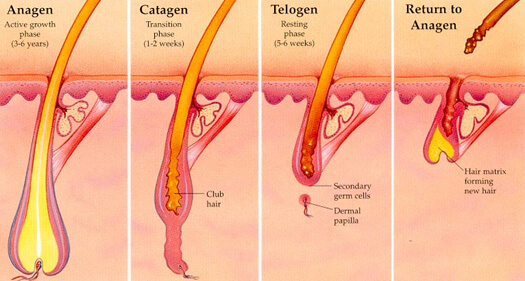 Subsequent treatments target the new hair follicles as they enter the Anagen phase. With each treatment, fewer hairs will grow. A point to remember here is that eventually the dormant cells will be activated due to hormonal changes, so you may see shoots of hair appearing. This is NOT the hair that has been treated, but the hairs that have been dormant, so a maintenance session may need to be had once or twice depending on the part of the body being treated. How Many Laser Hair Removal Melbourne Sessions Will I Need? For hair to be permanently reduced, a course of 6-8 sessions (more sessions needed for upper lip and other facial hair removal) are required. This is to ensure that 85-95% of the hairs have been “bombarded” at the active Anagen phase. Treatments will be spaced 2-8 weeks apart depending on the part of the body being treated. After completing the recommended course of treatment an occasional touch up may be required perhaps once a year. Touch ups will be offered at a heavily discounted rate for those who have completed their laser programme. Eventually any hairs that do grow back will be too fine and light in colour to be further treated. Genetics, medication, and an imbalance in hormone levels can affect hair growth patterns as too can an overactive or underactive thyroid and hormone replacement therapies. For example, a common form of imbalance is Polycystic Ovarian Syndrome, also known as PCOS. Ongoing maintenance may be required to treat this condition. WHAT TO EXPECT FROM OUR LASER HAIR REMOVAL CLINIC? Your first appointment will be a comprehensive consultation to answer all your questions and to check that there are no contra-indications for laser hair removal, such as taking medications that cause photosensitivity. The colour of your skin, according to the Fitzpatrick Skin Type Chart, must be assessed and the appropriate setting will be determined. A patch test will be applied to the relevant area and provided there is no marked change detected an appointment will be scheduled for 24-48 hours later. At that time the site will be re-assessed and if no visible change has been detected the treatment can proceed. It is preferable to leave the area unshaven for the initial consultation so the therapist can see how dense the hairs are and their colouring. It should, however, be shaved before the treatment so NO hairs are left above the skin’s surface. The pulse of light needs to travel down the shaft to get to the hair follicle so having hairs would mean the current would be weaker and the treatment not as effective. THE HAIR ON THE AREA BEING TREATED MUST NOT BE WAXED, PLUCKED OR THREADED FOR 4 WEEKS PRIOR TO ANY LASER TREATMENTS AS THERE NEEDS TO BE PIGMENTED HAIR IN THE FOLLICLE. AS HAIR REMOVAL WITH THESE METHODS REMOVES THE HAIR FROM THE FOLLICLE, LASER WOULD BE A WASTE OF TIME AND MONEY! SHAVING AND THE USE OF A DEPILATORY CREAM are FINE AS THEY LEAVE THE ROOT INTACT. Firstly, a clear gel is applied to the skin. Both the technician and the client wear protective eyewear. The handpiece is held against the skin and then activated. The handpiece is glided over the area 2-3 times to ensure the underlying follicles have absorbed the energy. Where the area to be treated is larger, such as the legs, back, and chest, a pencil is used to grid the area. This is to ensure ALL parts are fully treated and no spots are missed. The handpiece is then moved along and the process repeated until the entire area has been covered. Once the treatment is complete, the gel will be wiped off and a cooling gel and sunblock are applied, where necessary. You can return to work and resume normal activities after your appointment. Laser applies heat in the target areas so you can expect to be slightly pink after the treatment. It can be likened to mild sunburn. This normally lasts from between 2-24 hours. An ice pack and soothing gel can be applied to dramatically improve recovery time if necessary. A reaction similar to goose bumps known as “Peri Follicular Oedema” is common and will disappear within the same time frame as with the reddening. For facial treatments, a mineral powder can be applied on top of sunblock. In darker skinned people, responses from laser hair removal may be delayed for up to 48 hours. After a period of up to 2-3 weeks for the body and 7-10 days for the face, it will seem as there is growth in the form of stubble. This is not new hair, but rather, the treated hairs being expelled from the damaged follicles. The use of a warm washcloth with a GENTLE rubbing action can assist to shed this hair, but DO NOT PLUCK OR FORCE the hairs to fall out. After this has occurred, the dormant hairs will start to grow and this will be the best time for the second session to be undertaken. There will already be visibly fewer hairs in the area. Keeping the skin as close to its natural colour will ensure better results quicker. Whilst this new machine can treat tanned and even darker skins, it may be necessary to turn down the intensity of the treatment if the skin is much darker due to tanning. If this is necessary, it may take more sessions to reach the best final result in laser hair removal for dark skin. As the beam of light is attracted to the pigment in the target, it will intensify the heat generated at the site due to the extra melanin and increase the intensity and therefore, the risk of burning. You must inform the therapist if you have had recent exposure at any consequent session so the setting can be adjusted accordingly. An SPF30+ must be used daily to protect at all times. Similarly, fake tans and spray tans stain the outer skin cells so this too applies more pigments. All traces of make-up must also be removed before any treatment is performed on the face. THE IMPORTANCE OF HAVING NO EXPOSURE TO HARMFUL UVA/UVB RAYS AND ALWAYS USING MINIMUM SPF30+ FOR 4 WEEKS PRIOR AND DURING THE COURSE OF THE TREATMENT CANNOT BE STRESSED ENOUGH. As laser targets the pigment within the hair follicle, it is important to stop these methods of hair removal 4 weeks prior to commencing laser hair removal treatments. Shaving or using a depilatory cream is okay as they do not remove the hair from the follicle. The area needs to be shaved 24 before the treatment once the initial consultation has been completed. These products should not be used for at least one week before laser treatments commence. Medical strength should be stopped 2-4 weeks prior as they cause photosensitivity. It is recommended to avoid any activities 24 hours prior and 24 hours after a treatment that may make you hot and sweaty such as excessive exercise, spas, and saunas. The amount of time required depends on the size of the area to be treated. Upper lip hair removal may only take 5 minutes but a full back or legs can take as long as one hour (and perhaps longer). No sun exposure or use of sunbeds and fake tans. Wear sunblock with both UVA/UVB protection. No hot baths/showers- tepid water only. No heat treatments such as spas, saunas or excessive exercise. No deodorant for laser underarm hair removal. Always wear an SPF30+ sunblock with both UVA/UVB protection. Avoid excessive sun exposure/UV exposure. No waxing, plucking or threading during the treatment period. THE COOLER MONTHS ARE AN IDEAL TIME OF THE YEAR TO START LASER HAIR REMOVAL FOR A HAIR FREE SUMMER.